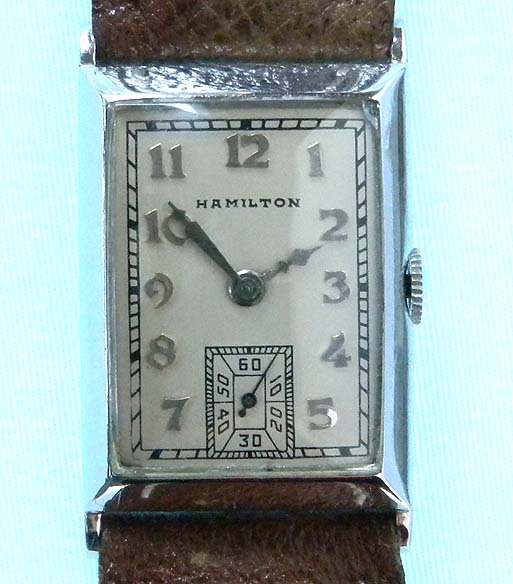 Fine Hamilton Rutledge platinum Art Deco vintage wrist watch circa 1939. 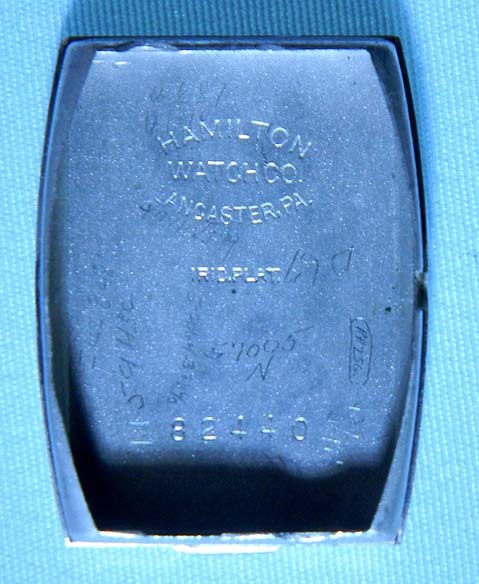 Possibly refinished silver dial with applied numerals. 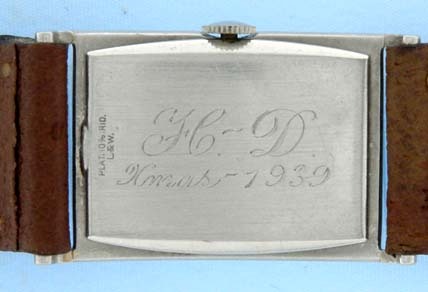 Beveled case (camera reflections) with downward sloping lugs. 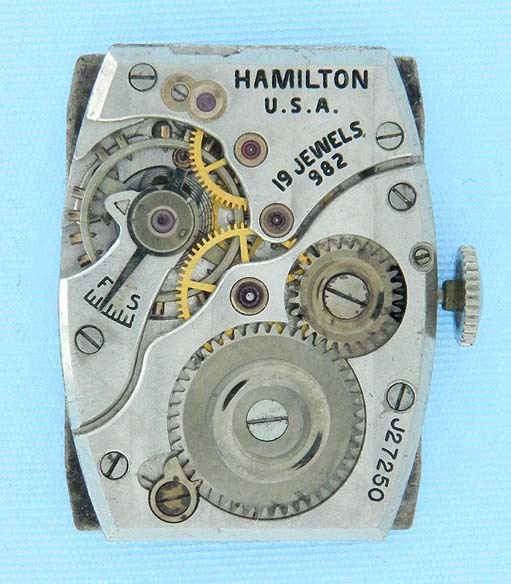 Nickel 19 jewel calibre 982 movement.